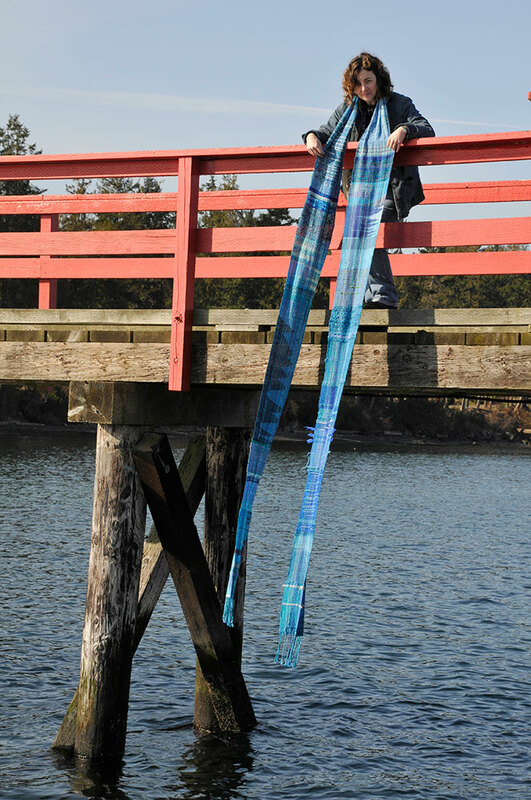 SAORI Weaving Retreats here at the studio on Salt Spring Island are as individual as the people who come. They could be anything from a few days to a week-long retreat. I love having people come and immerse themselves in SAORI and the island life. You can weave at the studio for a few hours or a few days. 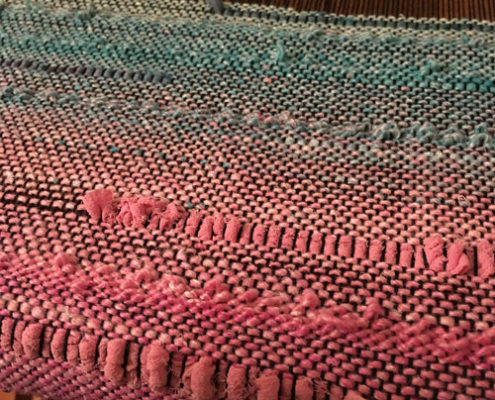 No weaving experience is necessary – just come in and enjoy playing with colour, fibre and texture in new ways as you discover weaving and discover yourself in the SAORI way. If you are interested in learning more about SAORI weaving, the retreats can be designed to really immerse you in the weaving, the loom set-up, clothing design and more. Salt Spring Accommodation Group – www.saltspringaccommodation.ca – for many other accommodations on the island. Accommodation is also available at the studio for those who are okay with others in the space between the hours of 9 am and 8 pm. This is a less private option, but there is a bed, bathroom and full kitchen available for your use (for one person) – and you can weave all night if you want! The rate to stay at the cottage/studio is $75/night. Please email me for more details on this option or see more on our cottage website at Honeysuckle Cottage B&B Retreat. Thank you for supporting us in our journey, Terri. There are so many layers to the Saori journey. What starts out as learning about a style of weaving turns into an adventure with so many discoveries. Developing community, sharing ideas and inspiring one another is such a big part of it. It all starts with the safe, warm, welcoming space that you have created. You have encouraged so many of us to explore our creativity and to feel we are a part of something bigger than our own journey. I just wanted to thank you for the other day, it was really nice to meet you, you’re a fantastic teacher, your studio is very calming and I loved the creative freedom of the Saori weaving. I look forward to taking another class with you in the future. Check our calendar to join in with a scheduled class or let me know what day(s) suit you!